Canning Town Taxis has been providing you with transport throughout the local area for some time now and is the fastest method of transport, choose us over rush hour on the tube. Taxi in Canning Town E16 use the latest computerized system to transport you around London. Minicabs in Canning Town specialize in Parcel and courier service. We understands your hectic lifestyle and provide you with the facility to book on the go via the use of our app available on Iphone and many Android based devices. Specialized in airport transfers and we offer very competitive prices. We can provide Taxis from Canning Town E16 to London Heathrow at any time you wish. You can select any type of car when booking Taxis from Canning Town E16 to London Gatwick such as minibuses or executive cars. Book your Taxi from Canning Town E16 to Stansted online or using the app. Taxis from Canning Town E16 to Luton, Taxis from Canning Town E16 to London City. We are proud to say we are the fastest growing cab service in Canning Town E16 . We as minicab company in Canning Town will always try to offer you the best hassle free experience. Fixed fares guaranteed for taxis’ in Canning Town E16 . Need transport in Canning Town E16 or private hire then call us on 0208 426 5555 We are one of the few cab companies in Canning Town E16 that provide you with the facility to book using the app, Download it now. Canning Town cabs at competitive prices is what we are proud to offer. Get an instant quote and Book online today to save time. A professional Minicab service in Canning Town is what we offer. We provide a swift method of transport in order to get you to Canning Town. Travel to London in style with us. Book a journey to and from Canning Town online. 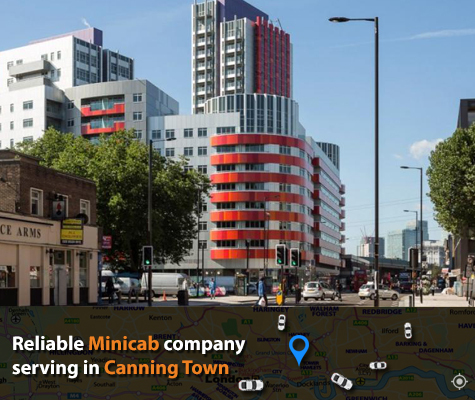 We don’t just stop at minicabs; we also have an Canning Town minibus service, Canning Town removals, Canning Town parcel service and an Canning Town courier service.